During his junior year, Computer Science concentrator Roger G. Zou ’17 wondered whether his CS courses were harder than others at Harvard. Drawing on his experience in computer science and statistics, Zou set about finding an answer by gathering and analyzing published course evaluation data. After extracting data from the Q guide—which students use to rate their courses—Zou conducted statistical analyses to determine which courses boasted the highest workloads. Zou’s analysis, which he published on Medium last year, found that computer science students reported the highest average workload per class at 10.7 hours per week, roughly five hours per week more than the average class. Most STEM courses—such as those offered in Mathematics, Physics, and Engineering Sciences—featured higher-than-average reported workloads. “It’s pretty clear that engineering classes tend to have higher workloads,” Zou said. Many of the subjects Zou’s analysis tagged as high-workload are housed in the School of Engineering and Applied Sciences, which hosts the Computer Science, Bioengineering, Electrical Engineering, Mechanical Engineering, Environmental Engineering, and Applied Mathematics departments. Though SEAS courses may be more time-consuming, record numbers of students have recently declared concentrations within the school. In 2007, when SEAS became its own Harvard school, 291 students—or about 6 percent of undergraduates—concentrated in an engineering or applied scientific discipline. This year, a decade after SEAS’s debut, the school boasts 943 concentrators: 19 percent of undergraduates. This explosive growth, driven primarily by growing popularity of Computer Science, has coincided with an increased institutional focus on the engineering disciplines. In 2015, Harvard accepted a record-setting, school-renaming $400 million gift from Business School graduate John A. Paulson to help develop SEAS. In 2020, a $1 billion science complex is set to open in Allston. As more and more Harvard students flock to applied sciences, some undergraduates and administrators think the field may be creating an entirely new kind of Harvard student—one more focused on problem sets than parties and extracurriculars. With the move to Allston looming on the horizon, Harvard engineering is in a state of transition. And while many affiliates are optimistic about SEAS’s future, others worry that the distinctive aspects of engineering at Harvard—its integration with a broader student body in a liberal arts College—could disappear once SEAS concentrators and their peers are split by the Charles River. 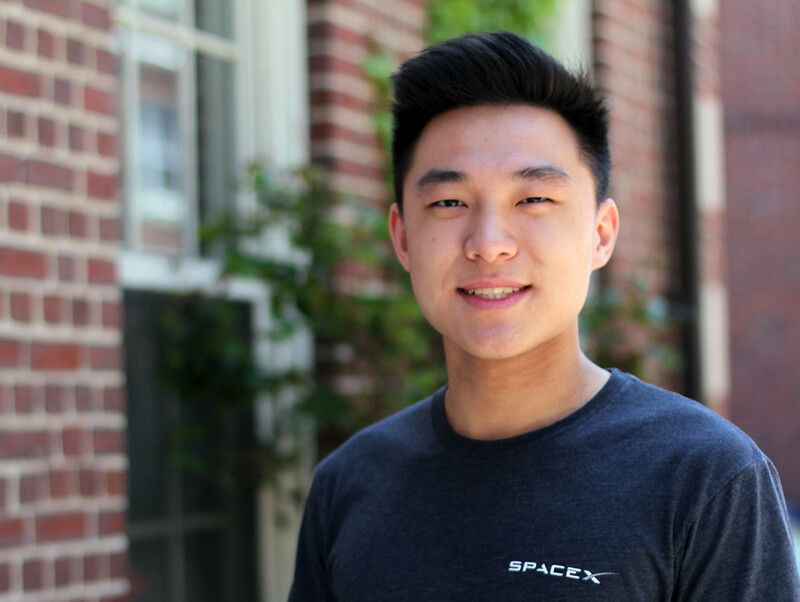 Electrical Engineering concentrator Kevin J. W. Yoon ’19 chose Harvard over MIT, Stanford, and the California Institute of Technology. 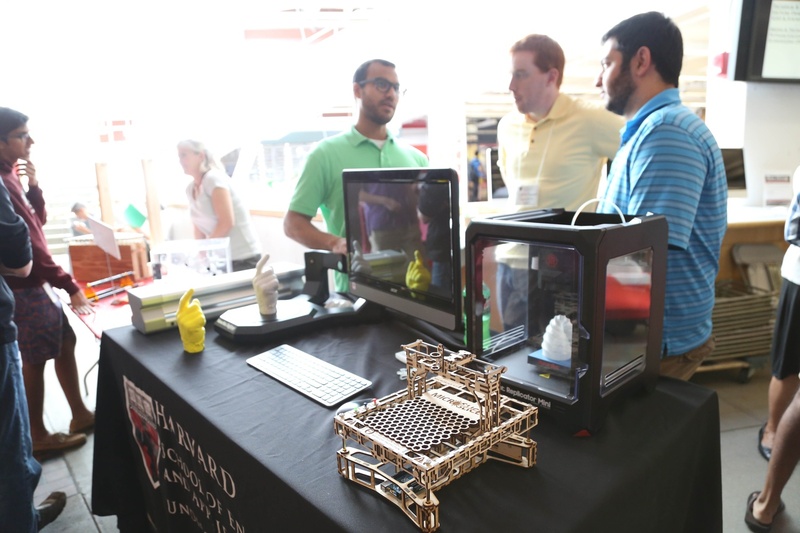 Those schools are ranked first, second, and fourth respectively for undergraduate engineering by U.S. News and World Report. On the same list, Harvard ranks 28th. For Yoon and students like him, though, engineering at Harvard, rather than a more established engineering school, offered some distinct advantages. They said Harvard’s relatively small engineering department and liberal arts education offered the opportunity to be part of a growing program and develop a wider-ranging skill set. “Being just a freshman, I’m now head of electronics [for the Harvard Undergraduate Robotics Club] on this sizable robotics project and was given the equivalent of about $1,000 to buy motors for the project,” Weninger said. 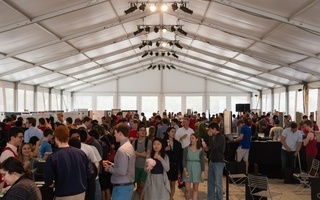 Representatives of the Undergraduate Teaching Labs at SEAS converse in front of engineering models at the Academic Fair in the Science Center in 2014. “I think it’s very special and it creates the leaders that are going to be running companies later on in tech that need those types of backgrounds to be able to communicate with people and interact with different companies,” Maeda said. Still, some students said better-known engineering programs offer more robust pipelines to coveted industry positions. “I did regret [choosing Harvard] when I started freshman year and realized that all the Silicon Valley companies want to hire from Berkeley or Stanford, which are much stronger engineering schools, but despite that so far so good, I guess,” Yoon said. SEAS Director of Experiential and Career Development Keith R. Karasek said that although employers may be less familiar with Harvard’s engineering school, the College’s liberal arts curriculum provides particular advantages for graduates in the workplace. For some engineering students, time-consuming courses mean pursuing a different social and extracurricular lifestyle than many of their peers. Zou, for instance, said he had to forego certain extracurriculars to have enough time for his classes. “I’ve been wanting to join the Asian-American Dance Troupe for a while, and I was only able to join it this semester, despite wanting to do it for the past six semesters based on high commitment issues,” Zou said. Dance groups aren’t the only sorts of extracurriculars engineers may miss out on. As campus conversations this year focused on a controversial policy that is set to penalize membership in single-gender social organizations, Computer Science professor and vocal opponent of the policy Harry R. Lewis ’68 argued in a blog post that few engineering students join such organizations. “I think...that they are underrepresented in those organizations, probably because they are working too hard,” wrote Lewis. Yoon agreed that he had to skip certain social functions to make time for engineering coursework, though he added that he wasn’t speaking for all Harvard engineers. 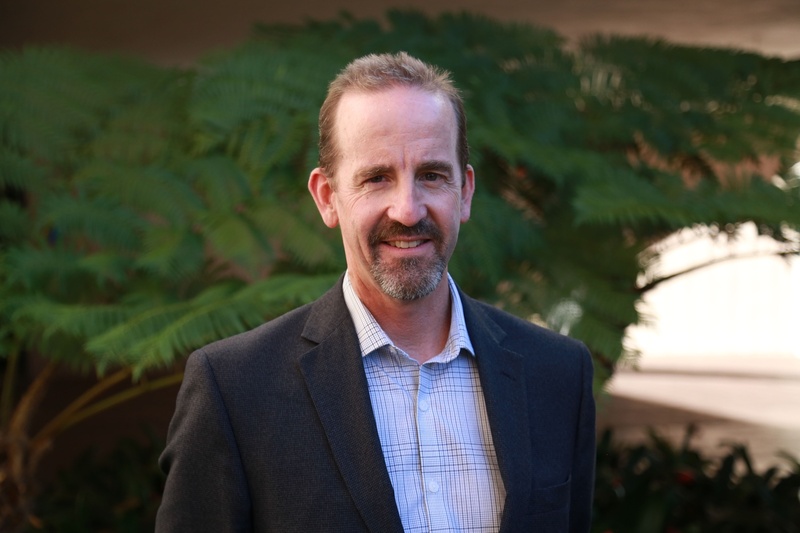 Francis J. Doyle III, formerly a professor of chemical engineering at the University of California at Santa Barbara, leads the School of Engineering and Applied Sciences. Despite, or perhaps because of, the long hours spent studying and working on problem sets, some SEAS concentrators said their common experiences create a tight-knit bond with other engineers. “I think the intensity and difficulty of computer science classes I took as a student actually really served to bring people together because they would often be working together late at night,” Mitzenmacher said. Grace C. Eysenbach ’20, who plans to concentrate in Electrical Engineering, said that working on assignments together creates a “sense of camaraderie” between engineers on campus. Joint Electrical Engineering and Computer Science concentrator Yankang Yang ’18 recalls working late nights before Housing Day with other engineers to finish work for their classes. Though students said they were content with Harvard engineering as it is today, the impending relocation to Allston drew mixed opinions from SEAS students and faculty. The move, dubbed “the Allston Bomb,” faced stark resistance from several faculty when it was first announced. 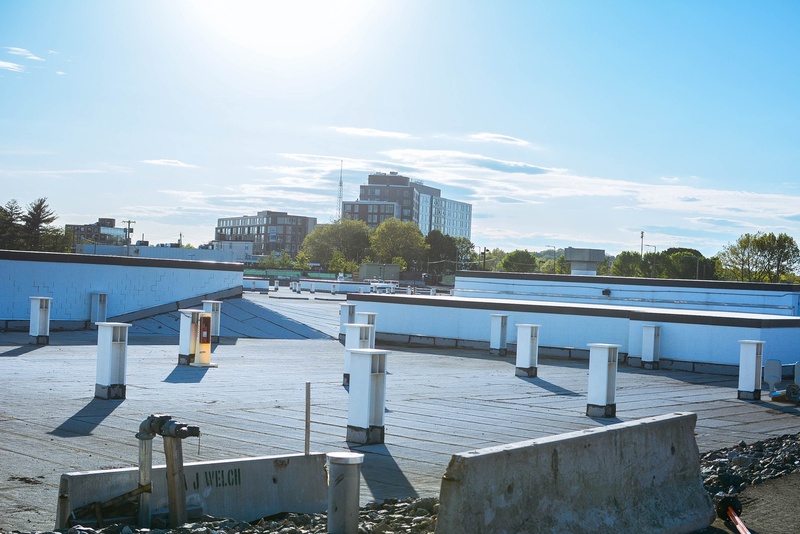 The grounds for the new Allston School of Engineering and Applied Sciences complex, still under construction, is calm on a May 2016 afternoon. More recently, students like Yoon worry that the longer commute time may detract from their college experience. “For me personally, the fact that I have to go across the river to take all my classes, the transportation time...gives me a lot to worry about,” Yoon said. For administrators like Karasek, though, the school’s expansion will provide relief from the space constraints that currently plague SEAS. Other students said they were excited about the new developments and facilities that are to come with the new campus. Daniel Wang '17, the senior president of the Harvard College Engineering Society. Maeda also said he was optimistic that the move will provide a prestige boost to SEAS as a whole. “This new building and renovation is really going to put us on the map in terms of engineering,” Maeda said. Some, however, are wary that the school may become more isolated after the move. "It could have the result of isolating the engineering community more than it currently is," Eysenbach said, pointing out that "Maxwell Dworkin and Pierce Hall are still close to other buildings on campus." Computer Science concentrator Jared R. Pochtar ’17 also said he hopes Harvard engineering can remain integrated with the rest of the College. “I would be disappointed to see Computer Science and other SEAS concentrators separated from the rest of Harvard,” Pochtar said. However, Mitzenmacher, an early skeptic of the move to Allston, said predicting how the move may truly affect the school was impossible.